Copenhagen was never on the list. We’re not really sure how it happened. We were thinking to take Nathaniel on a summer trip soon after Liv and I returned from Hawaii and we’d browse random locations to see ticket prices. One-way tickets that were nonstop from Fort Lauderdale to Copenhagen on Norwegian Airlines were too good to pass up. 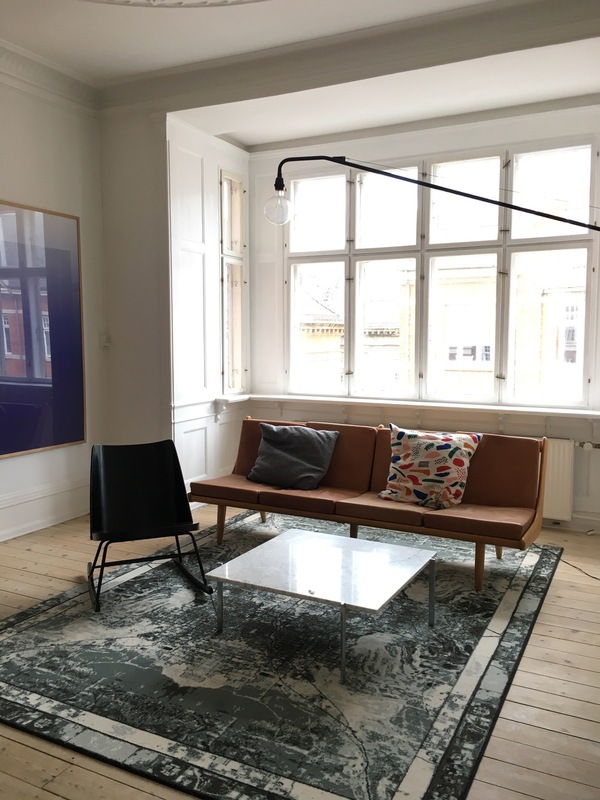 I’ve always loved Danish design and we’ve never been, so why not? We’ve never flown on Norwegian Airlines either. Turns out, booking on the Nordic site is cheaper than booking on the English site. With the help of Google Translate, we booked tickets that included a seat reservation + a meal of our choice + 1 checked baggage per person. Reviews are hit or miss, but no complaints from us! We took a red-eye flight again because we love that feeling of waking up in a brand new city + our kids usually sleep through the late night flights. We didn’t have to check anything in because we opted to pack in one backpack per person again + our stroller. People ask us how we do it. Liv’s clothes are tiny so packing 9 days worth of clothes + pajamas is easy. For everyone else, we pack our clothes around one pair of shoes. 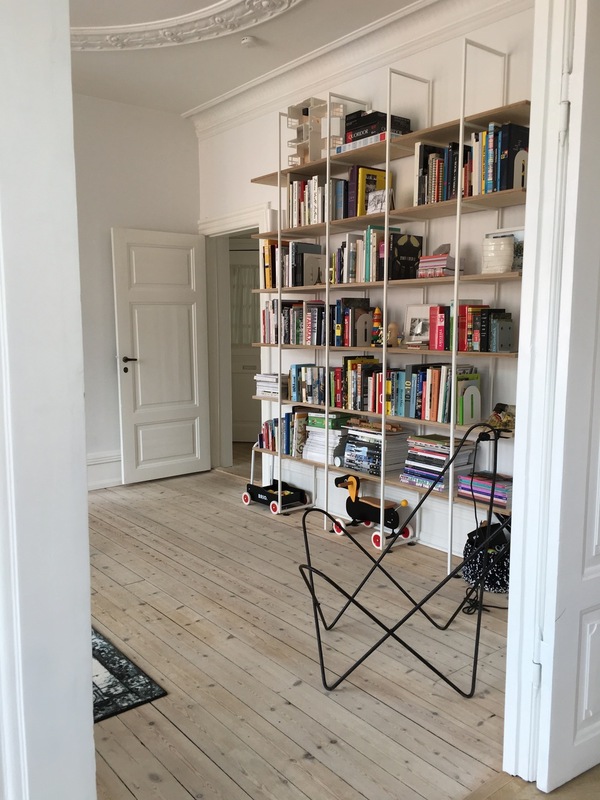 When booking our AirBnB for Copenhagen, we looked for one with a washing machine as well. Speaking of AirBnB, our apartment was GORGEOUS. I wanted to pack every bit of it home! The finishes, the design, the furniture, and the minimalism.. everything. I was in love. Our hosts were so easy to communicate with and very accommodating! I would recommend their place to anyone and everyone. It was in a great location! 3 minute walk to Tivoli Gardens. Central Station was right across from Tivoli Gardens. 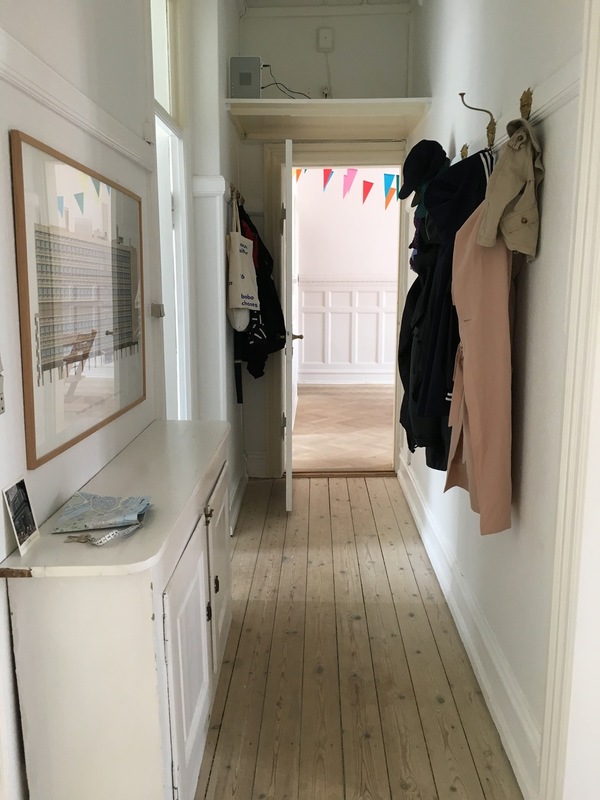 5 minute walk to Stroeget. Easy to access bus routes to the Aquarium and to the Nyhavn. PS. The apartment was on the 4th or 5th floor with no elevator. Quite a workout, but the kids enjoyed racing up or down the stairs. Denmark Aquarium - We took a bus out to the aquarium. We didn’t pre-purchase tickets and there was a long line. I discovered there was free wi-fi so I bought tickets right then and there to skip the line. We read that it was the biggest aquarium in northern Europe, but it was pretty crowded in there with our stroller. I’d recommend coming here first thing in the morning for a little more breathing room. The lines for the restroom was long as well. It was an okay experience. Maybe more of a rainy day activity. Nyhavn - We took a 1 hour Netto-Badene boat tour from the Nyhavn. It took us past the Little Mermaid statue, through some neighborhoods, and around the back of the royal quarters. We enjoyed it for the first half-hour, but honestly, was falling asleep toward the last half. Olivia did actually fall asleep, but it was nap time. Tivoli Gardens - This amusement park was awesome! The grounds were beautiful. It was clean. The wait times were short. The kids had fun! There was something for everyone here. It's right across from Central Station with several entrances on different streets. Stroeget Street - Stroeget is one of the longest shopping streets in Europe. It's mostly car-free, so it's easy to walk with children. There's a toy store right by the Tiger store that has a free mini carousel for kids to ride. Illum department store was interesting to browse through; the children's section featured brands like MarMarCopenhagen and Mini Rodini. We had to stop by Hay design store; I wanted to take all the trinkets home! Off on a side street is the famous bakery, La Glace. It is worth the hype! We tried 4 different cakes and they were all scrumptious! One of the best bakeries we've ever tried. The Little Mermaid statue - We walked to the statue from the Nyhavn along the waterway. Although quite a bumpy ride on cobblestones for Olivia in her stroller, it was a beautiful walk. We passed by the royal quarters which featured some lovely gardens. The park the statue is located in is actually in the shape of a star. It's very crowded around the statue, so it may be hard to get an unobstructed view unless you're by the rocks next to the statue. We got to see the statue from another angle on the boat tour as well. Paper Island - Paper Island features a big warehouse where many different vendors serve different foods; it's a food hall. We had some bbq, some famous fries, and some fresh juice. There's a public boat taxi that takes you to the opera building next to Paper Island or you can walk across the bridge. Yo Burger - They make a good burger! We looked this place up while walking on Stroeget. It's similar to that of Shake Shack and BurgerFi, but definitely richer. Poonchai Thai - This was our go-to. We tend to crave asian food more than anything and this was our comfort zone. Damindra Sushi - We read reviews that this was the best sushi outside of Japan. It was good, but I can't say that it was great. No matter where we go, we still love Sushi Deli in our neck of the woods. Told and Snaps - Couldn't go to Copenhagen and not try open-faced sandwiches! This place was so good! It's right off Nyhavn harbor and I think they're a reservations kinda place. We didn't need one, but they asked us to finish before 1pm (it was a little after noon when we arrived). 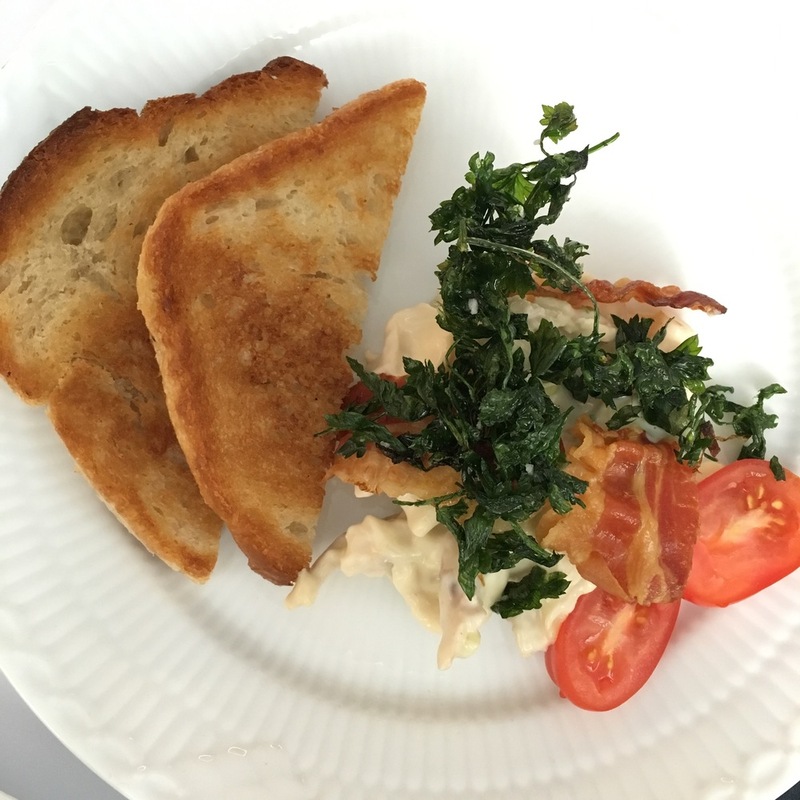 Our favorite sandwich was Olivias - Free range chicken in mayonnaise with bacon, deep-fried parsley and butter toasted bread. The sun set after 9pm and rose around 4am during our stay in mid-July. The weather was on the chilly side so a light jacket was definitely necessary. We did not rent a portable wifi unit for this part of our trip. Our AirBnB had wifi and Niti was still on ATT’s international passport plan because of a recent trip to Toronto. Overall, Copenhagen was a beautiful city and I’m glad we got to experience a new place with the kids. Five days was a good amount of time to be able to do a lot of things without feeling like we were squeezing everything in. Although, we did want to check out Valby Park, but that wasn’t in the cards due to some rain + our schedule. By the end of our stay, I was already excited for our next stop.. a city that captured my heart back in March.